We work in close collaboration with the INSPIRE Group of Prof. Dr. Jairo Sinova. 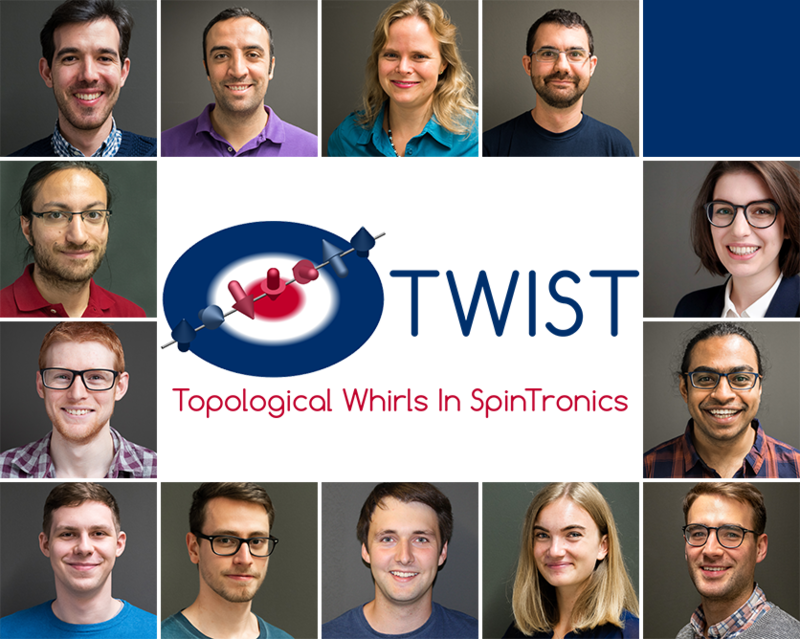 Within the TWIST Group we investigate the complex fundamental physics of topologically protected magnetic structures - skyrmions. In particular, we study the interplay between skyrmions, different magnetic structures, and spin and charge currents. This interplay is governed by microscopic mechanisms within complex materials that must also be understood and engineered. Gaining a deeper understanding of these mechanisms to optimally utilize the properties of skyrmions towards potential spintronics applications is a key focus of our work. Magnetic skyrmions are topologically protected spin textures that not only exhibit fascinating physical behaviours but offer also a large potential in highly energy-efficient spintronic device applications. Fig. 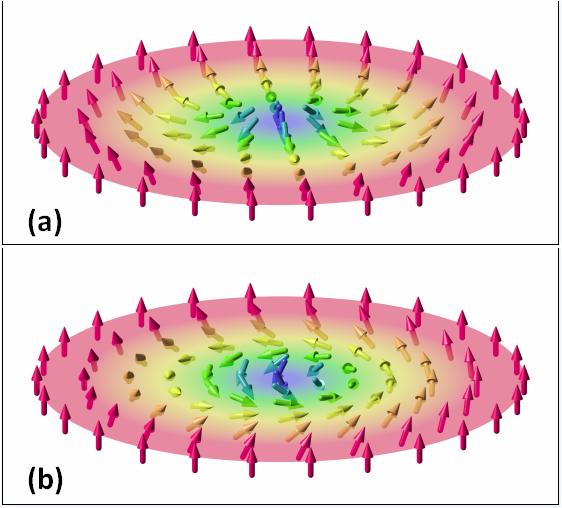 1 The vector field of two, two-dimensional magnetic skyrmions: a) a hedgehog skyrmion and b) a spiral skyrmion.